Bishop Foley Catholic's mission and ministry is to form young minds, get to know and love Christ, while at the same time receiving an excellent academic education. BFC is a warm and welcoming community that offers many opportunities for growth in academic excellence, friendships, teamwork, and faith. In turn, BFC benefits from the many talents and gifts our students bring to the community. Students have an excellent opportunity to learn and grow. Foley truly lives up to it's tagline "Undeniably Catholic. Academically Excellent." Our Catholic faith is practiced with daily prayer, weekly mass, spiritual retreats, and a wide variety of community service projects. 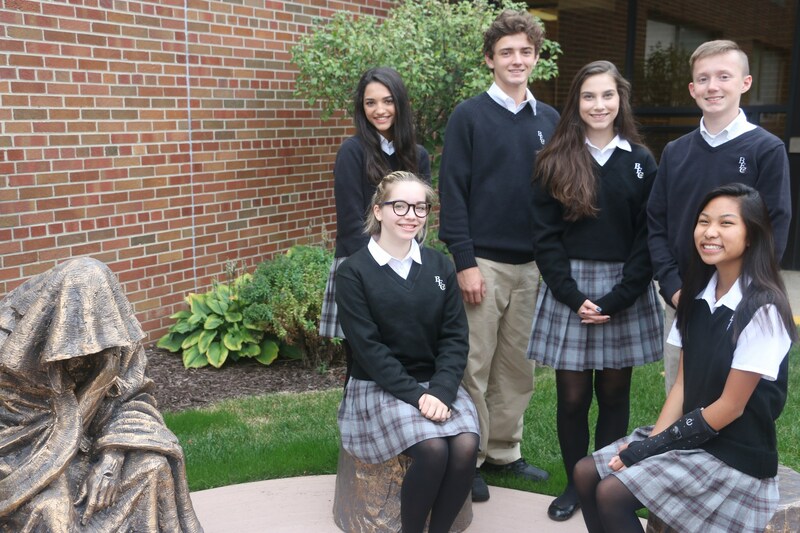 Bishop Foley Catholic is academically excellent by offering more than 100 courses and 20 AP and honors classes each year and the class of 2018 was awarded $8.1 million in scholarships. Foley's award winning fine arts courses, performing arts program, and Robotics team is top notch. We are proud of our 116 athletic championships! Students can select from 22 athletic programs. BFC students can participate in 18 extra curricular activities that explore faith, science, technology, music, performing arts, visual arts, community service, and more. With so many options, students truly have an excellent opportunity to excel both in and out of the classroom. Bishop Foley Catholic High School opened in September 1965. It was built by Guardian Angels Parish in Clawson and St. Dennis Parish in Royal Oak. The first senior class graduated from Bishop Foley Catholic in the Spring of 1969. Today, Bishop Foley Catholic is a co-educational four year college preparatory high school, within the Archdiocese of Detroit. It is located in the Metro-Detroit suburb of Madison Heights. Students from over sixty private grade schools and public middle schools attend BFC. Foley is a high school of long-standing traditions with a strong Catholic identity, an exceptional learning environment and a center of personal growth and development. BFC offers a superior education where students can grow spiritually, intellectually, physically, and emotionally. The greatest strength of a BFC education is the ability to integrate the concepts of morality and character development in your education. From the moment your family selects BFC, the faculty and staff will guide your child to ensure a seamless entry. 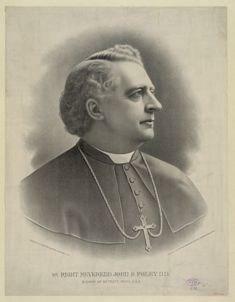 From 1888 until 1918, Bishop John Samuel Foley headed the Catholic Diocese of Detroit. As Detroit’s first American Bishop, his 30 years of leadership remains the longest for the Archdiocese of Detroit. Immigration to Detroit during this period was very heavy, not only from Europe, but also from the American South, to meet the labor needs of the rapidly expanding automotive industry. During his time in the Archdiocese of Detroit, Bishop Foley established the first black Catholic parish, St. Peter Claver, in 1911.